Grab Your Sweatpants and Come Join Us TONIGHT! It’s finally here! 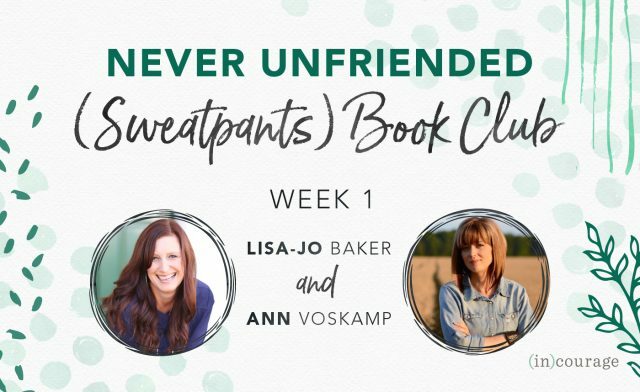 The first week of the Never Unfriended Sweatpants Bookclub and we couldn’t be more excited!! We so hope you’re already signed up to join us. If not, it’s never too late — just click over here to jump in! Step 1: Make sure you have registered for the Book Club. Step 2: Make sure you have joined the Book Club Facebook Group. The link will be in your registration confirmation email. This is where everything is being hosted — from tonight’s video to chats and conversations during the week. Step 3: For tonight, we’ll be talking our way through the Introduction of Never Unfriended — so that’s the good stuff you’ll want to have read. Easy to catch up if you haven’t started yet! Step 4: Put on your comfy sweatpants, grab some dessert and tune into the Facebook group at 9pm ET/6pm PT for our LIVE book club meeting with tonight’s sweatpants friend, Ann Voskamp. The video will last about 30-45 minutes in total and we would love for you to be there live to take part in the commenting and conversation. Step 5: Meet Ann – An instant friend since we met seven years ago in the Dallas airport en route to Guatemala with Compassion International. There is pretty much nothing Ann doesn’t know about me. From ugly cry to all the grossest and most vulnerable parts of my heart to my highest highs, Ann has seen it all and loved me through it all. She is a farmer’s wife, mom to seven, and is my heart Jonathan friend. I know that we’ll still be friends when we’re old and gray and in rocking chairs out on her farm’s front porch. I will likely have no teeth left but since she’s got better dental luck than me, she will still have more than just gums to offer the world. And we’re going to kick off the study by unpacking a new definition of friendship. If for some reason you can’t watch live tonight or you aren’t on Facebook – never fear! We’ll have a replay of the video available by Thursday both in the Facebook group and on youtube and will send out the links to you in an email. That’s it! Nothing complicated, just a bunch of amazing women in comfy sweatpants who all want to learn to do this friendship thing better – together. 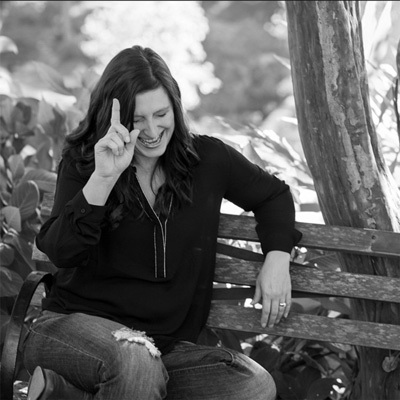 See you tonight inside the Facebook group!